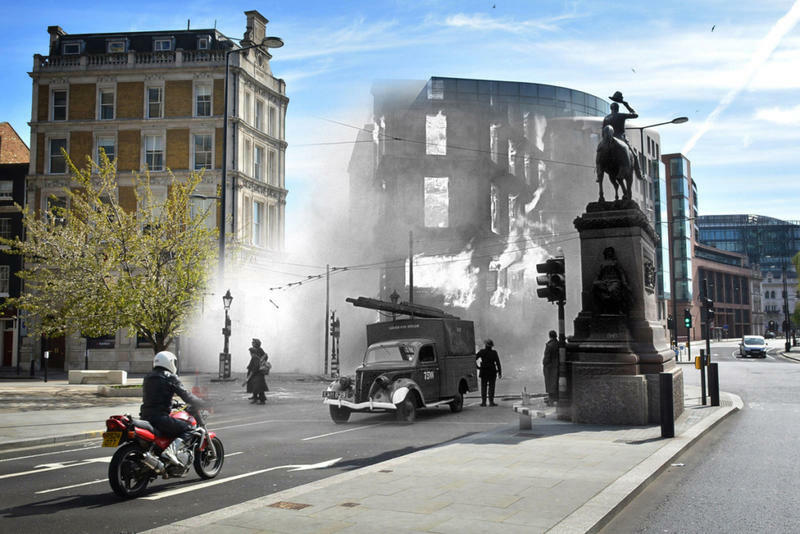 For 267 days between September 1940 and May 1941, the German Luftwaffe bombed 16 British cities in “The Blitz”. London was hit 71 times, with one sustained campaign running for 57 straight nights. 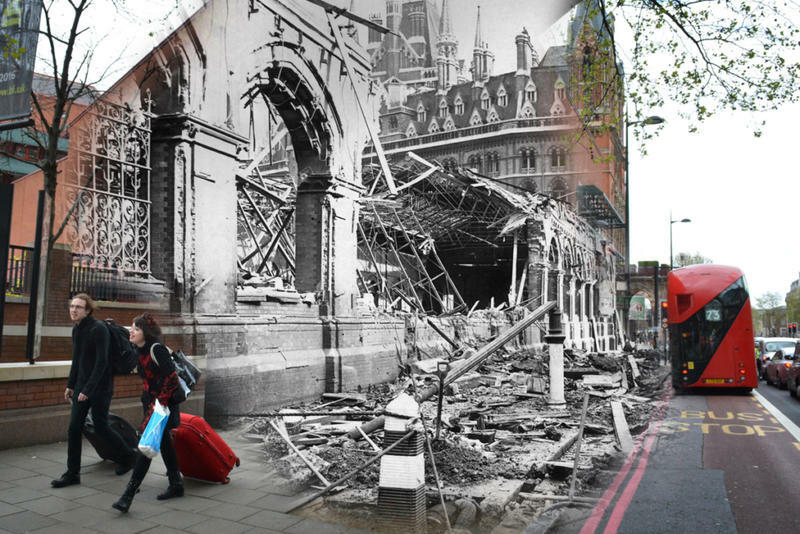 In all, at least 100 tonnes of high explosives were dropped on England, killing 40,000 dead, 22,000 of those deaths were from London. 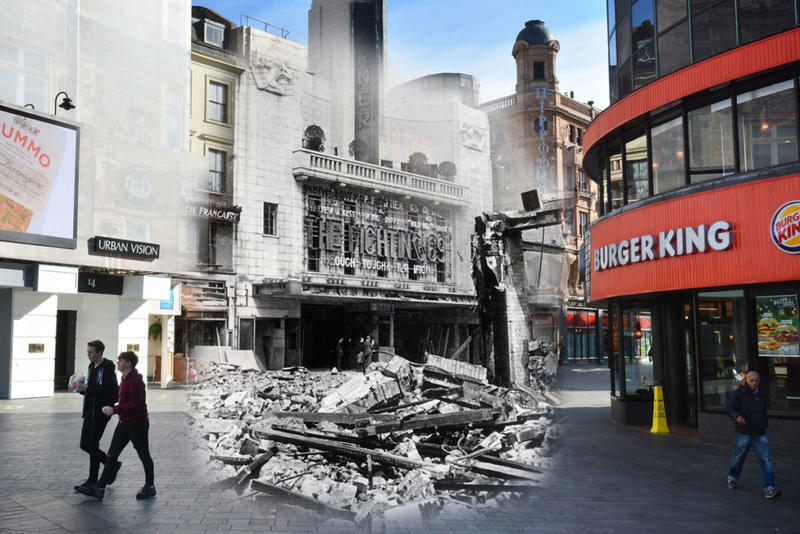 Getty Images has put together a series of composite images to show how the city has recovered. 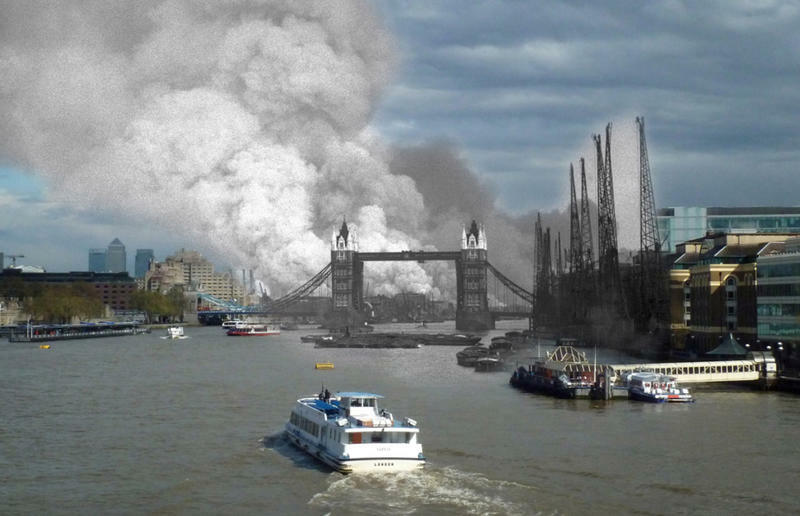 A view east down the Thames towards smoke rising from fires in Surrey docks, following the first German air raid of the London Blitz, 7th September 1940. On the right is the Tower of London, and on the right is Tower Bridge. A wrecked Humber car on Pall Mall, London after an air raid during the London Blitz, 15th October 1940. 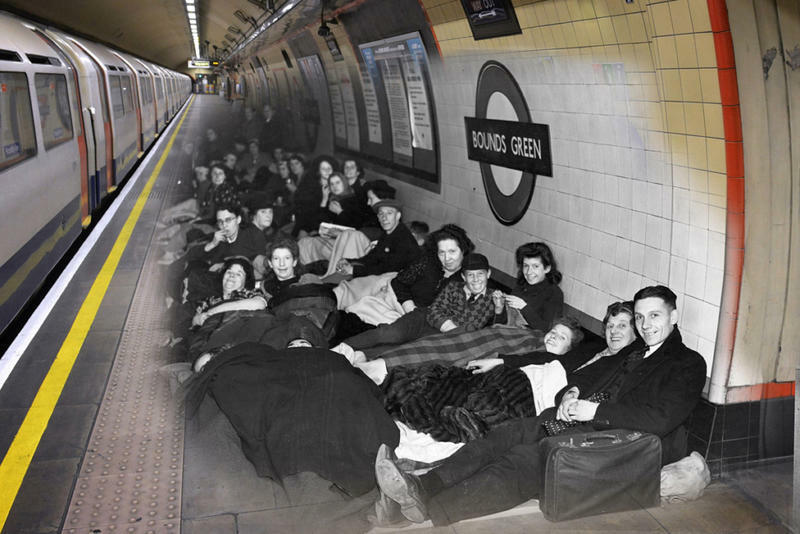 16th October 1940: Londoners sheltering on a platform at Bounds Green tube station during an air raid in The Blitz. 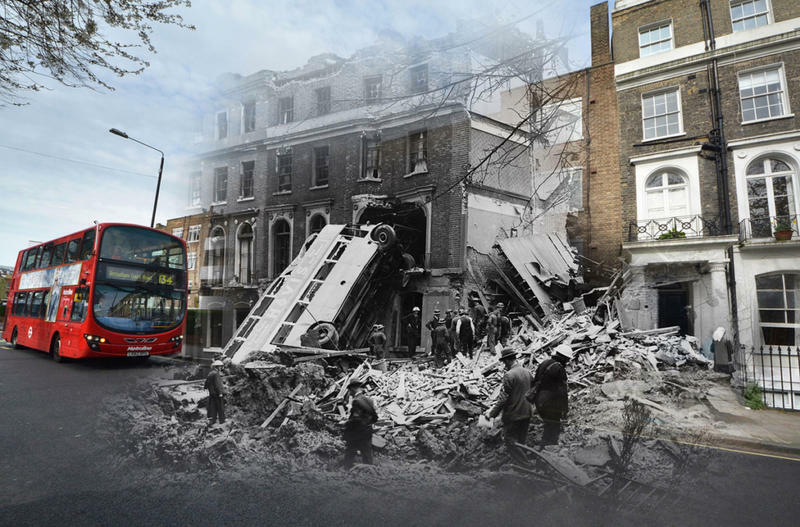 A bus is left leaning against the side of a terrace in Harrington Square, Mornington Crescent, in the aftermath of a German bombing raid on London in the first days of the Blitz, 9th September 1940. The bus was empty at the time, but eleven people were killed in the houses. 19th September 1940: An area near St Pancras Station in London showing the damage caused by a German air raid during the London blitz in World War II. 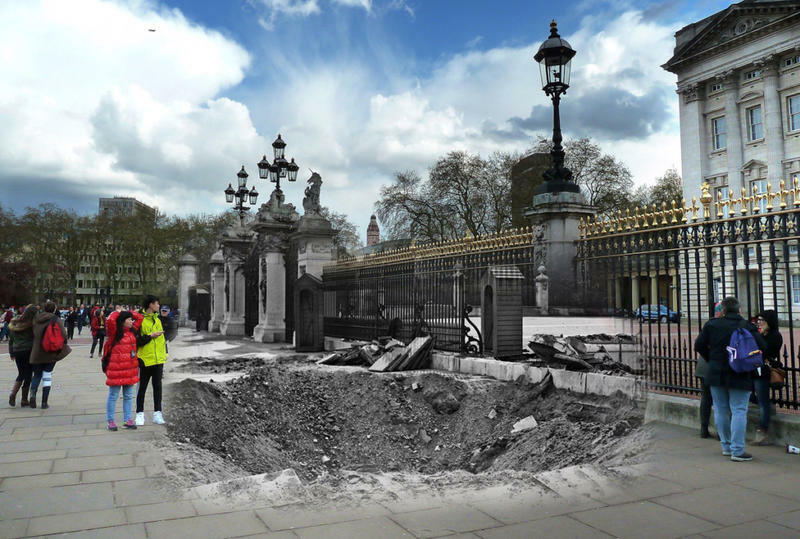 14th September 1940: A crater and damaged railings outside Buckingham Palace, London, after the explosion of a German bomb dropped in an air raid the previous day. 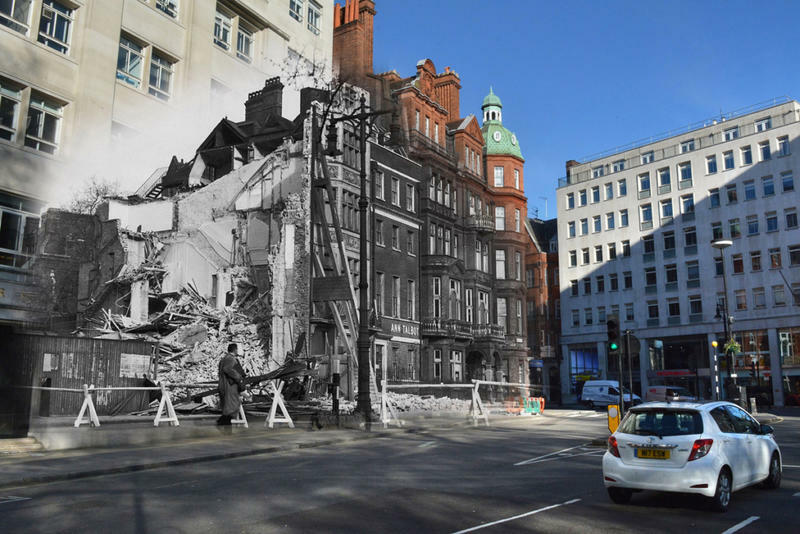 Bomb damage caused by a World War II air raid on Berkeley Square, London, 29th April 1942. 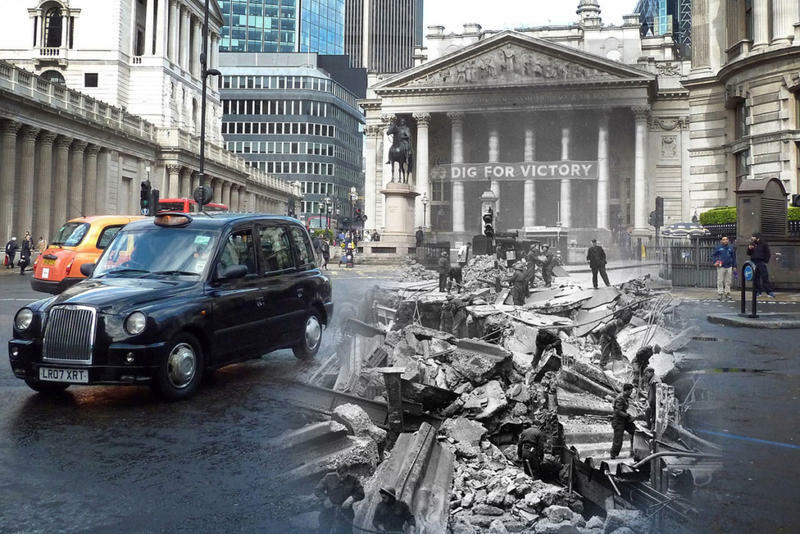 Soldiers help to clear the debris of Bank Underground Station, in front of The Royal Exchange, London, the morning after receiving a direct hit during the Blitz. The slogan 'Dig For Victory' adorns the Exchange. 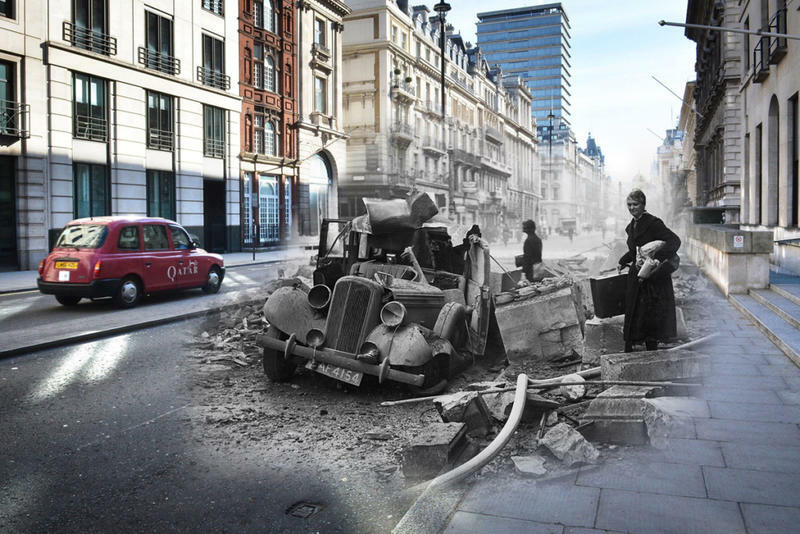 1941: A blaze in the Negretti and Zambra building at Holborn Circus, London, after a German bombing raid. 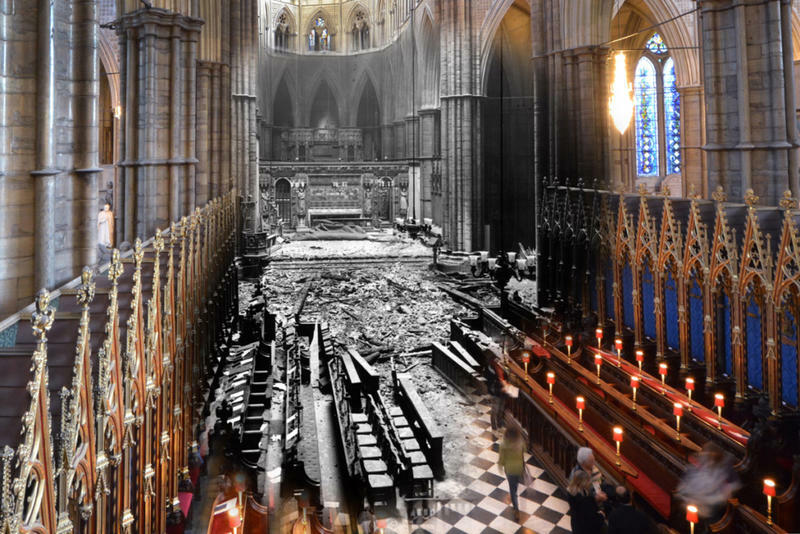 May 1941: The interior of Westminster Abbey after a German bombing raid. 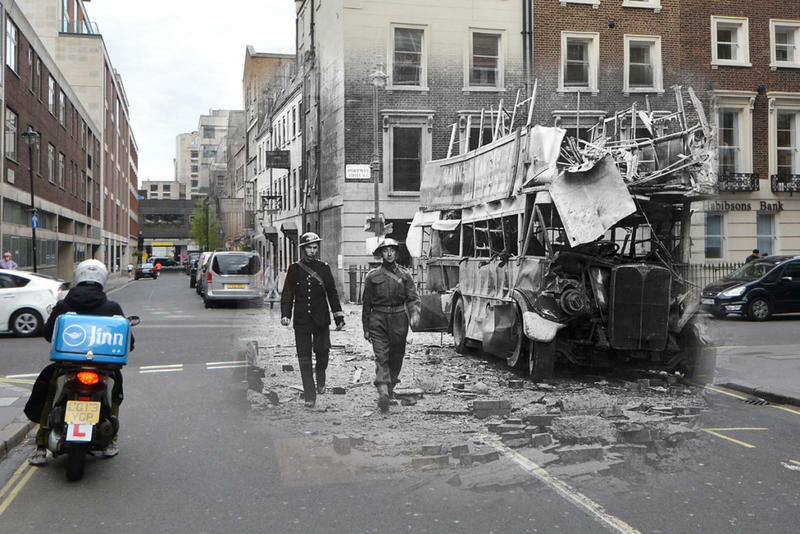 A police officer and a soldier inspecting the aftermath of a German air raid, Portman Street, London, 19th September 1940.